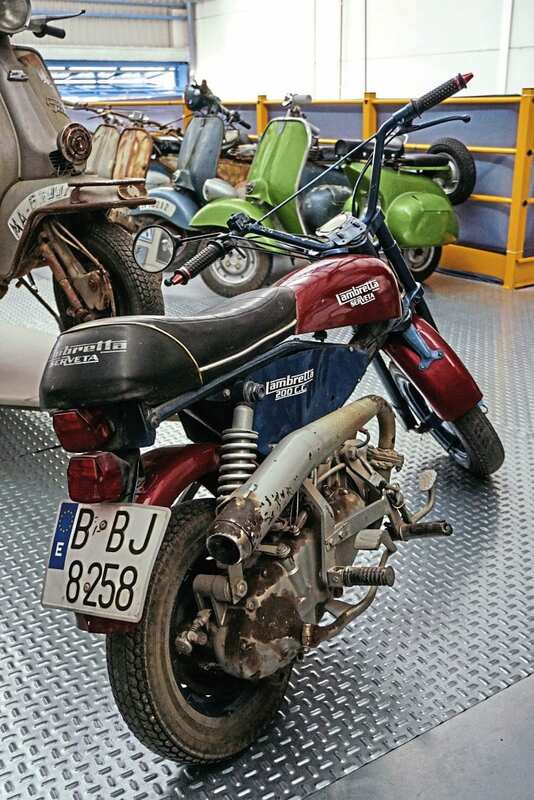 Hidden in an Alicante suburb is Israel and Charo’s astounding scooter collection. 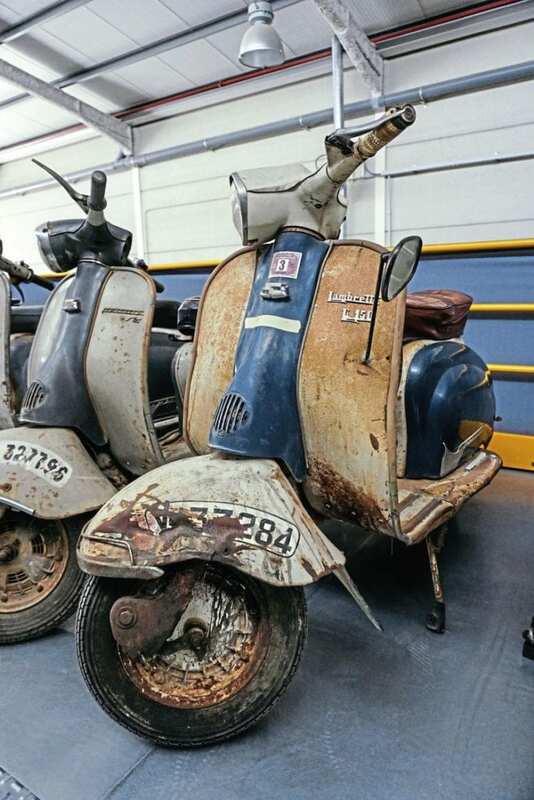 Last month the Vespa collection was identified and perused this month Stan looks at their hoard of Lambrettas. 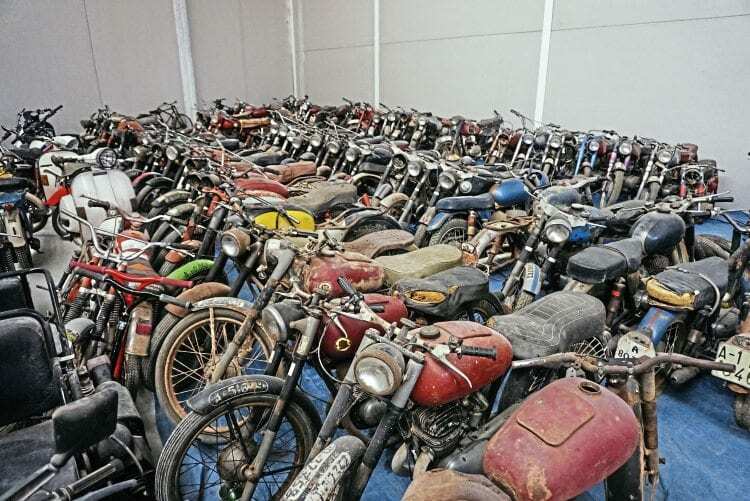 The couple have a soft spot for classic motorcycles! 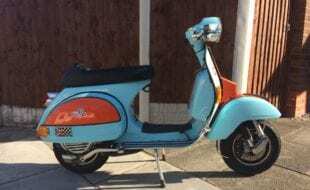 We all know of enthusiasts who have amassed a number of scooters but Israel and Charo have taken collecting to a whole new level. 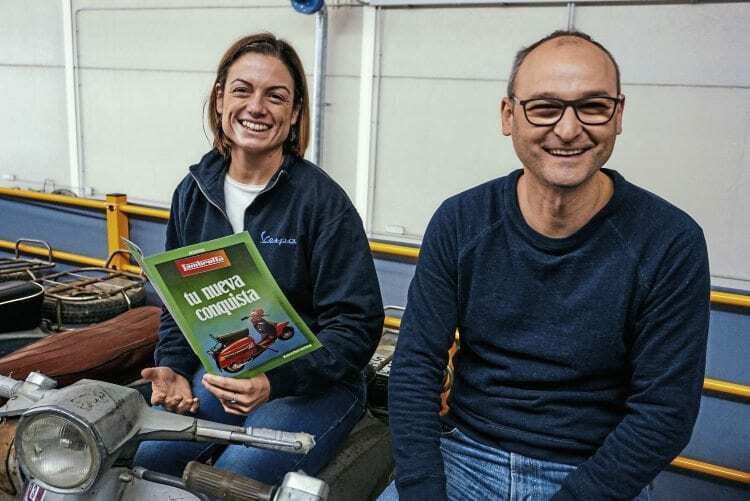 As the owners of Recambios Motos Clásicas, an Alicante based supplier of parts for classic scooters, the couple have developed a network of contacts across Spain and its territories. 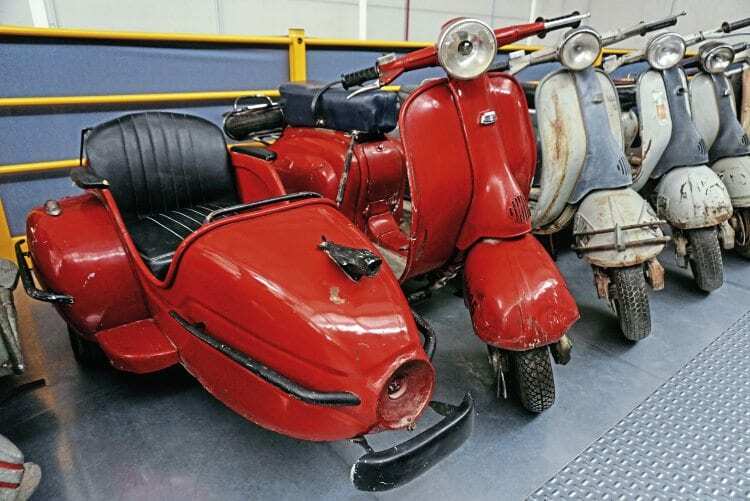 Although their passion is for machines of Spanish origin they make regular trips to Italy, acquiring machines for the collection and also to sell in their shop. It was a privilege to meet the couple and view the rarely seen collection while sharing their passion for classic scooters. Incredibly Israel and Charo have only been collecting for around a decade but as they show no signs of slowing down this may not be our last visit to Spain! 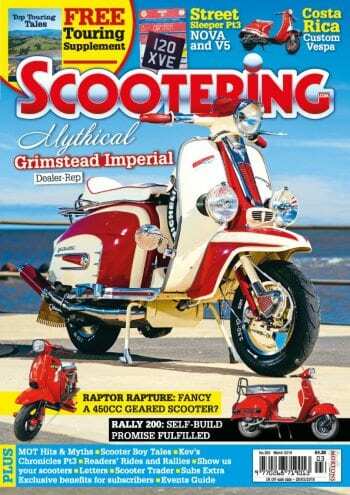 Having showcased some of their vast Vespa collection last month, we now turn to their hoard of Lambrettas. 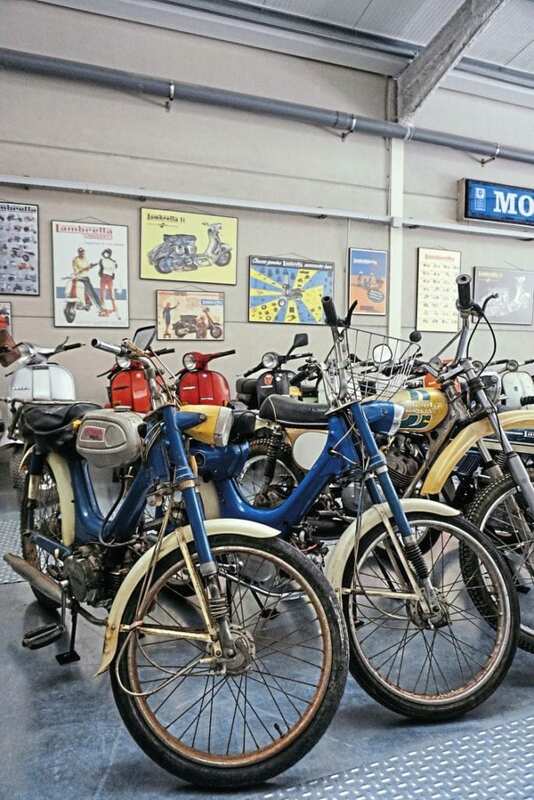 In late 1966 the Spanish factory began production of 200cc models. Although officially known as the Jet, all the frames and engines used the ‘SX’ prefix. 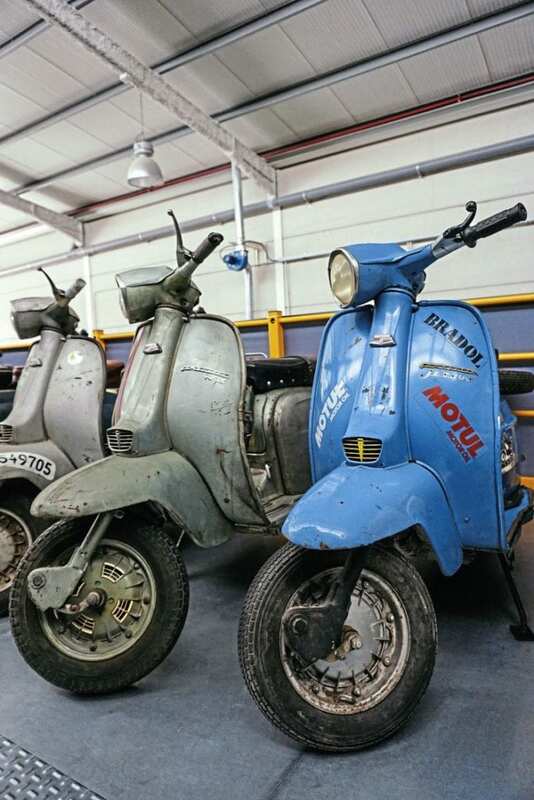 Early production machines were available in green or gold and featured disc brakes. Israel prefers to leave his machines in ‘as found’ condition and this wonderfully aged Jet is one of the collection’s highlights. 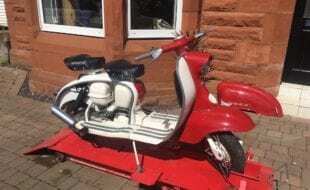 It’s complete with original paperwork and just in case it got mislaid in the car park the owner taped his name inside the leg-shields. 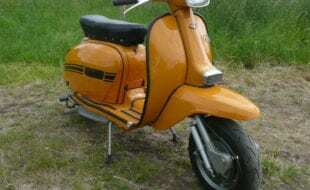 In an attempt to cash in on the ‘monkey bike’ craze of the early 1970s, Serveta proposed the Pony. 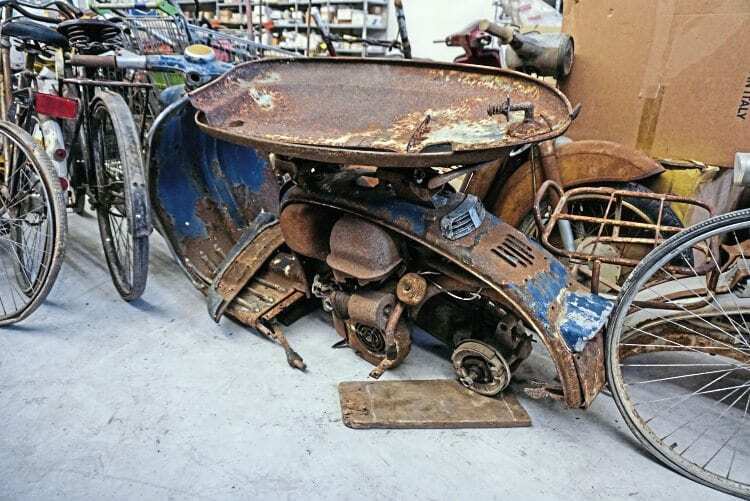 A mutant hybrid of a 200cc engine, components snatched from the parts bin and dubiously styled bodywork, it looks more like a school metalwork project than a serious production proposal. 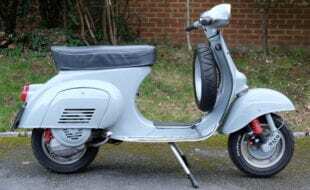 It’s also doubtful that the skin searing exhaust arrangement would have helped sales! 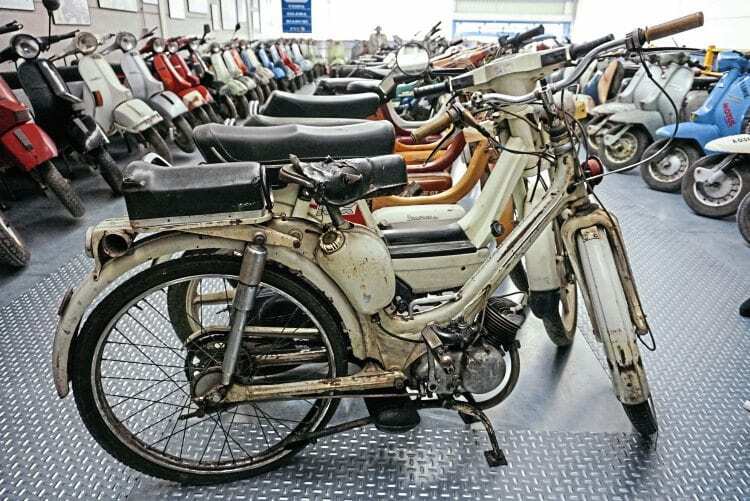 Israel’s example is one of only a handful known to survive and is believed to be the only one registered for road use. 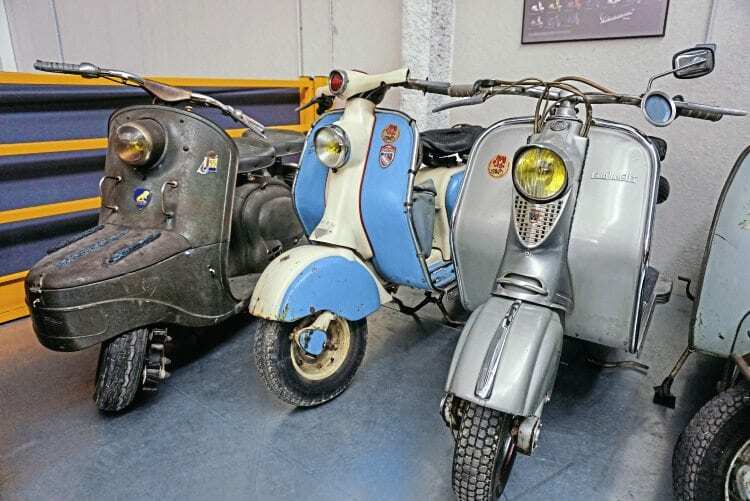 The Eibar factory was officially opened in June 1954 with production concentrating on 125cc Model ‘A’ and ‘B’ machines. 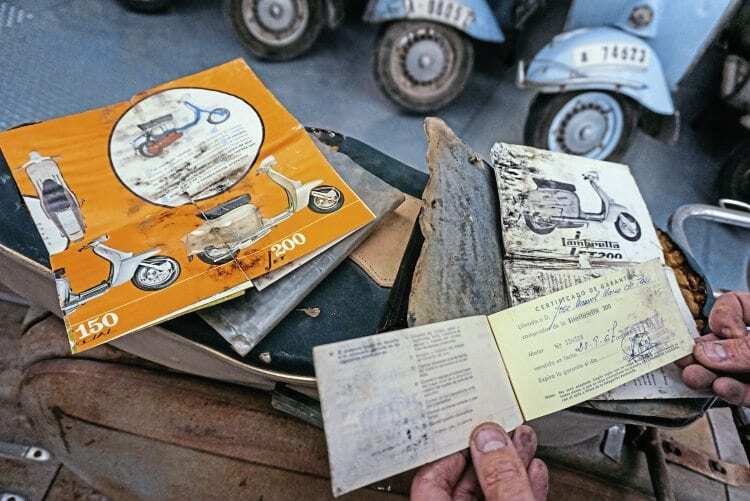 These roughly corresponded to the Italian ‘LD’ and ‘D’ machines. 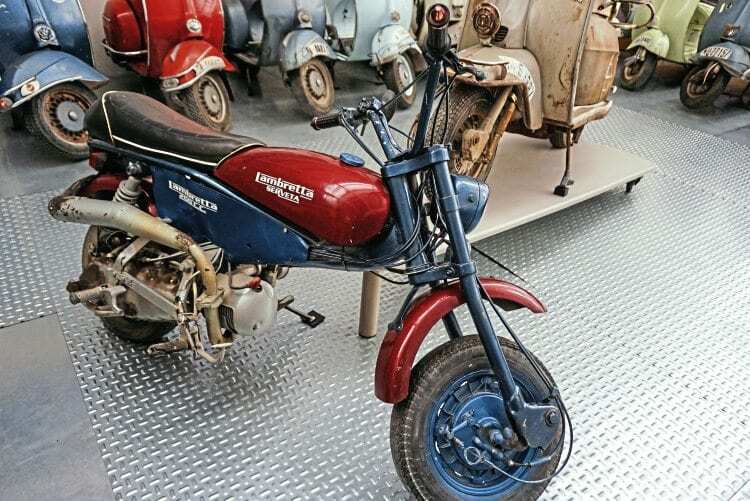 This Model B is one of only 483 machines produced in that first year and is one of the oldest Spanish Lambrettas in existence. Displayed with the Model B are two Model A’s, the black example dating from 1956 and the green from 1958. Although Israel and Charo’s passion is for Spanish produced machines their tastes extend to other areas of Europe. 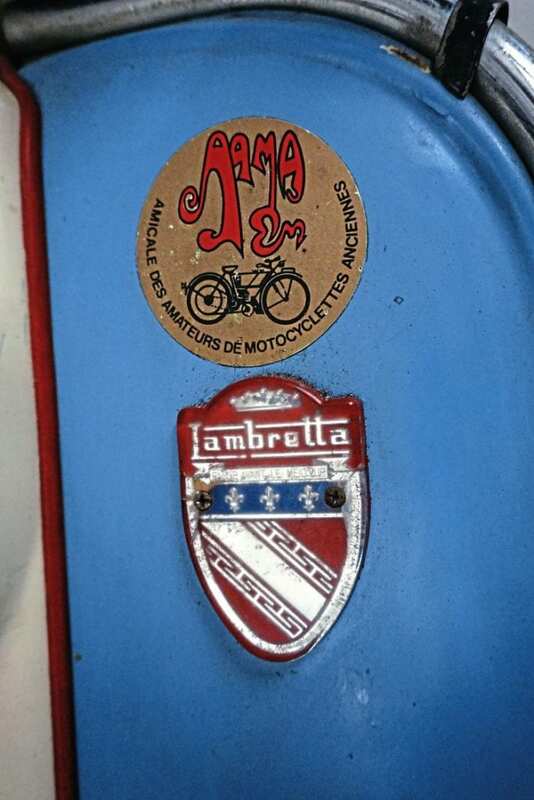 “These Acma produced Lambrettas were simply too beautiful to avoid,” said Israel. 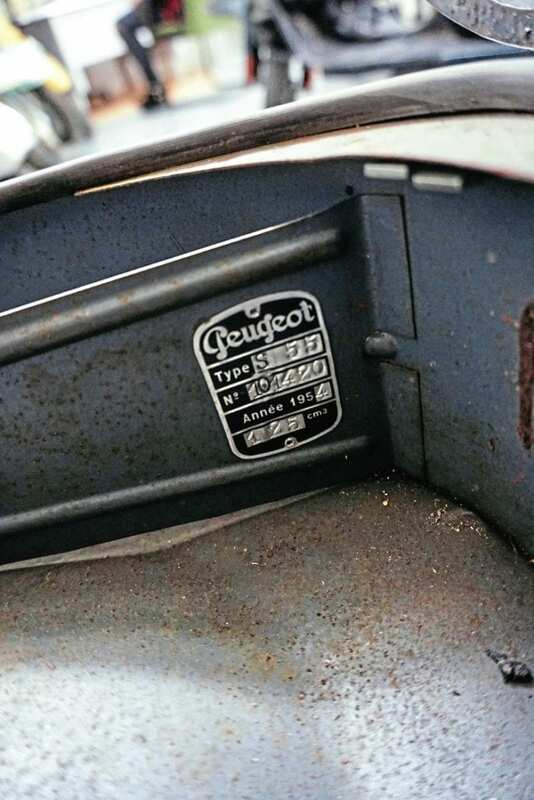 “They are complete with original accessories and in very clean condition.” Another favourite of the couple is the Peugeot S55 which dates from 1954. 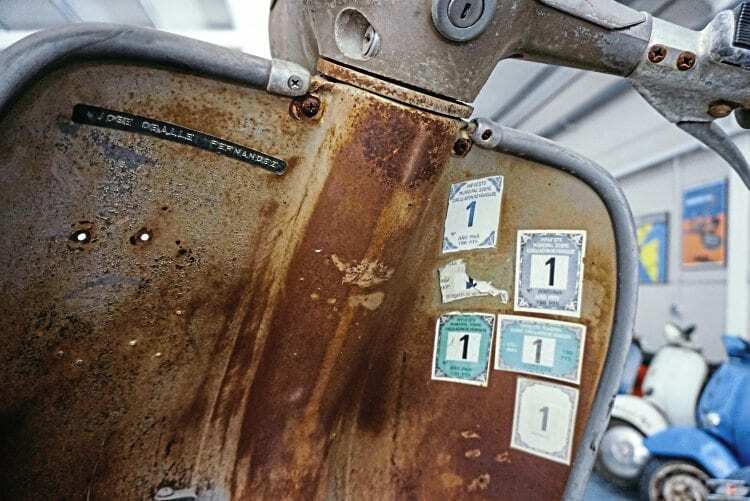 What follows is a story to make any British reader think twice before complaining about the DVLA. 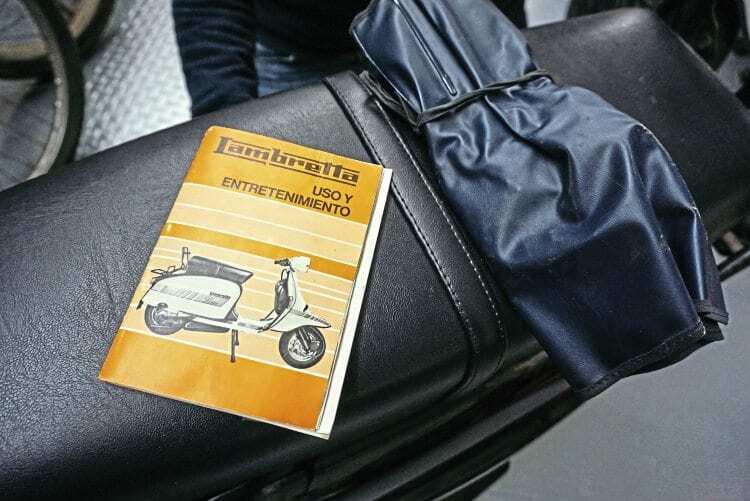 In Spain paperwork is critical, without it the scooter ceases to exist and registration is a far more complex process that a dating certificate. 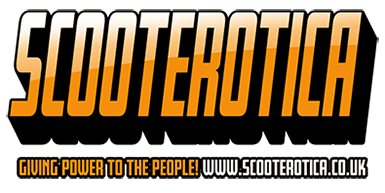 “I thought that as it was no longer legally a scooter I would declare it as parts,” said Israel. 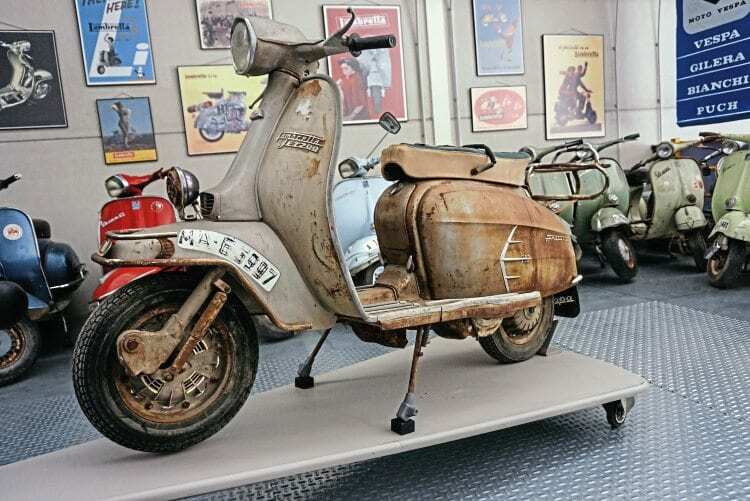 Unfortunately the container was inspected and the scooter impounded by customs officials. 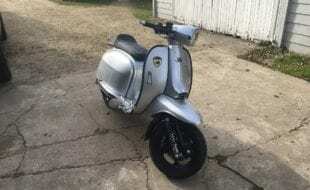 A protracted battle then followed with the authorities arguing it was a scooter and Israel arguing that without papers it could only be legally viewed as parts. In the end a compromise was reached and Israel paid a fine for incorrect completion of the shipping documents. 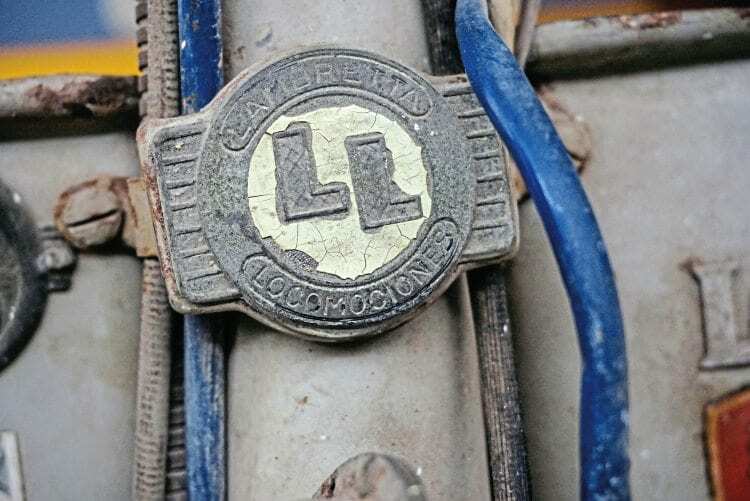 For his troubles Israel’s been rewarded with a Lince time capsule. 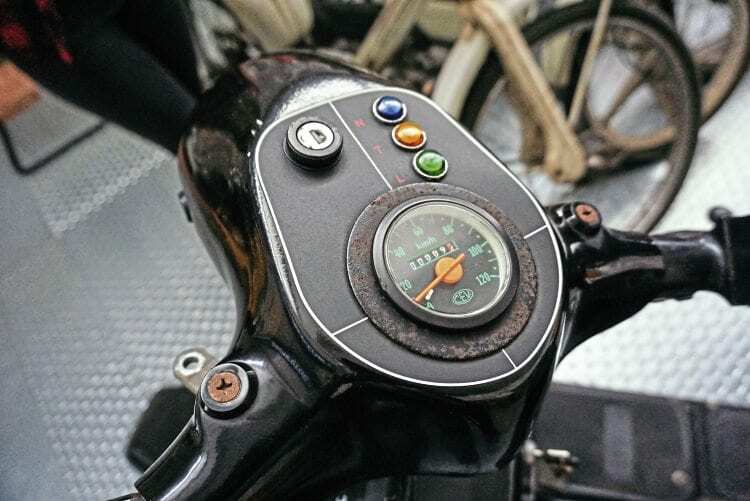 As it’s never been subjected to a PDI the Lince is complete with factory applied labels, toolkit and instruction manuals. 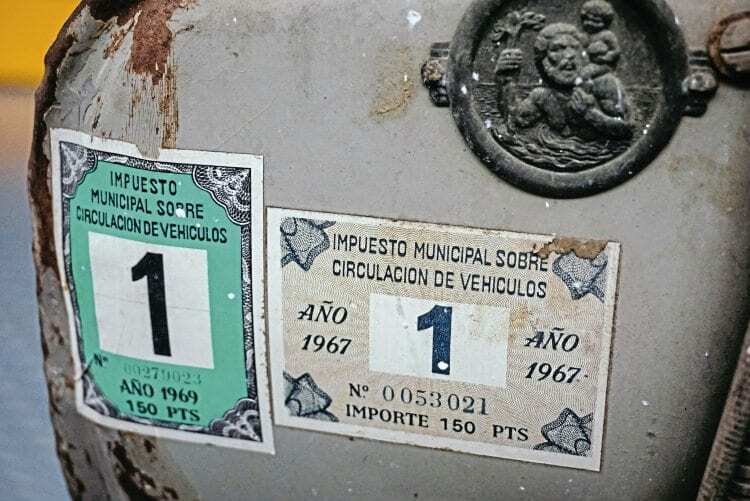 Rumors have persisted for years that the earliest Spanish production 200cc machines were assembled from Italian parts, being stamped and badged as TV200s. This example, together with another held by Buzzsolomoto in Halifax, suggests that this was in fact the case. No-one can accuse the Spanish management of being complacent in the face of falling sales. Diversification was a key part of their strategy and they even ventured into the production of office furniture and electrical heaters. 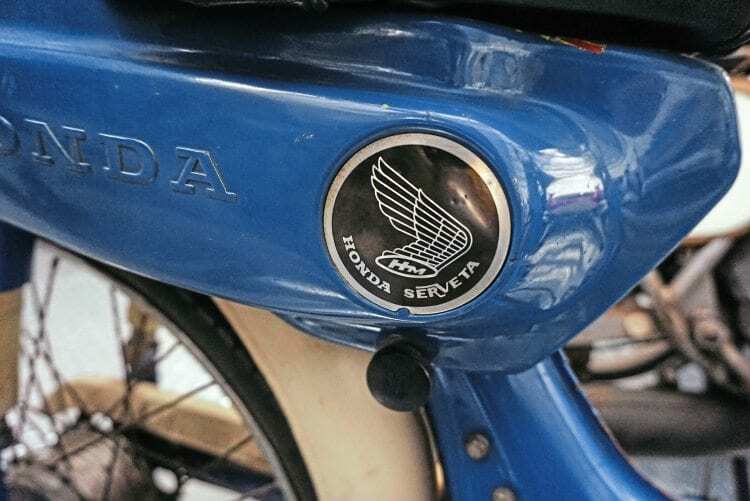 In 1967 the company signed a collaboration with Honda to produce mopeds under licence at Eibar. 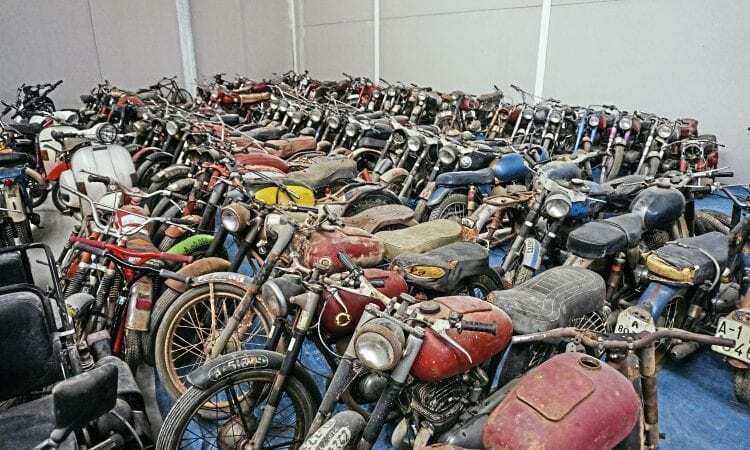 The arrangement proved unsatisfactory to both parties and by 1974 the relationship had deteriorated to such a point that the partnership was dissolved. 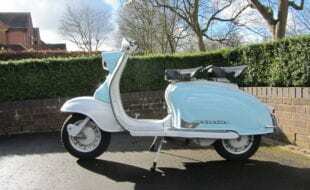 Italian produced Lambretta 48 moped. 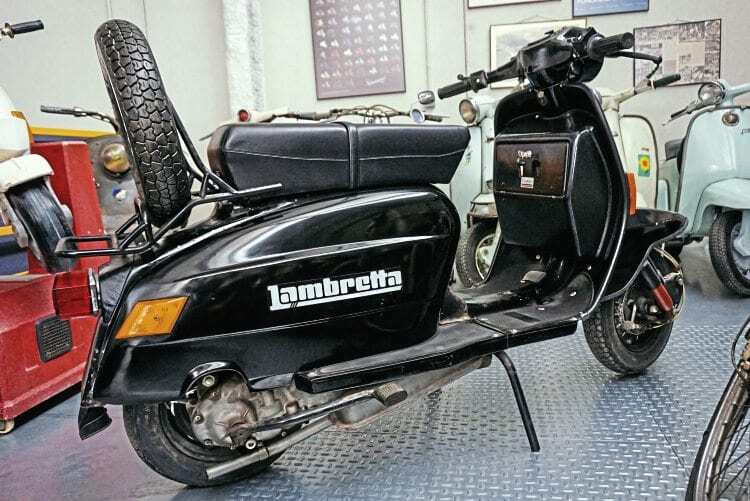 Recently acquired from Italy is this Series 1 Frame-breather. 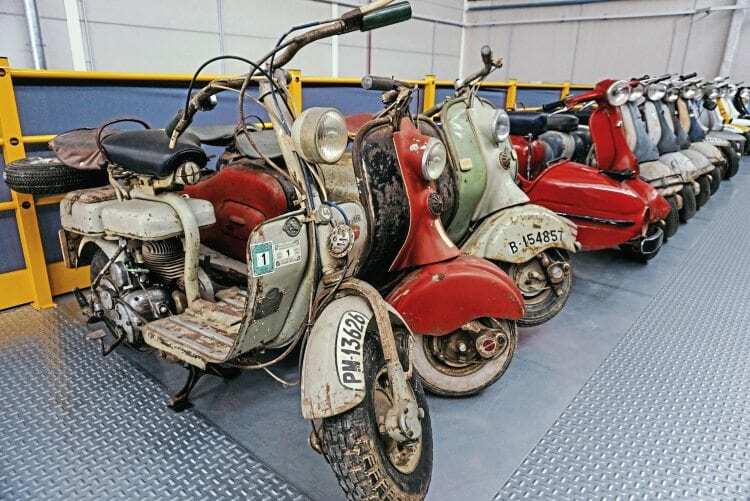 Although the Spanish Post Office is best known for its fleet of Vespas they also operated around 350 Lambrettas, this Lince in its original colours is a rare survivor. 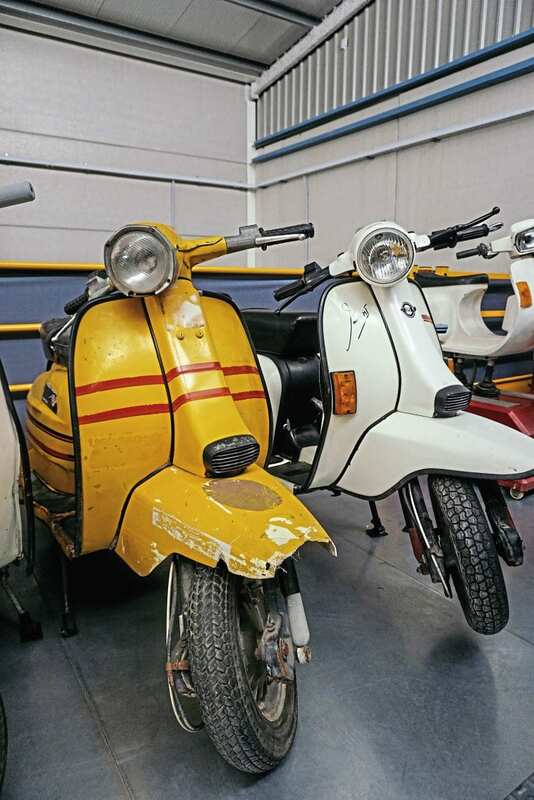 This Series 2 Li is fitted with original ‘Sol’ sidecar, complete with ‘jet age’ mascot. 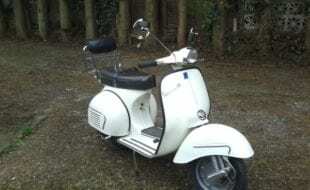 Winter Model Li150 complete with all factory fitted accessories.